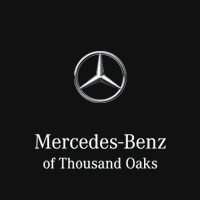 Mercedes-Benz of Thousand Oaks is delighted to offer our Malibu neighbors this exclusive pick up and drop off service for Mercedes-Benz, AMG®, and Maybach vehicles. Simply give us a call to schedule, and we’ll pick up your vehicle, drop off a courtesy vehicle, and bring yours back when your service is complete. Twenty-Seven Miles of Scenic Beauty. Whether you choose Decker, Kanan, Las Virgenes, or Topanga Canyon, you’re just a turn away from a driving experience that many can only dream of. It’s more of a lifestyle than a place. With this lifestyle comes a state of mind, and while it sits just 30 miles outside of downtown Los Angeles, it feels like a world away. Home to movie stars, titans of industry, and those in search of a perpetual mellow, Malibu and the Pacific Coast Highway are the birthplace of many a dream. People come from all over the world to experience what Malibu has to offer. From humble beginnings as the playground of the early Hollywood luminaries, to the burgeoning technology scene known as “Silicon Beach,” Malibu sits in a unique place. Just miles from Los Angeles, LAX, Thousand Oaks, and “The Valley,” Malibu has the rare benefit of being proximate to major metropolitan industry, while being bordered by the boundless nature of the Pacific Ocean and the Santa Monica mountains.